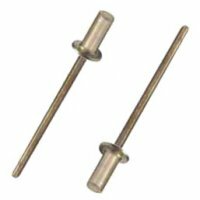 #8 - 32 Coarse Thread, Yellow/Zinc Steel Ribbed Rivet Nuts deliver low cost permanent thread placement in thin material while providing at least six full thread turns per application installed. 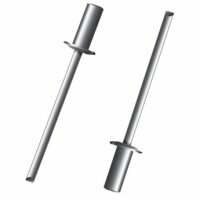 Simple instructionand easy installation allow installation in seconds with just one tool. 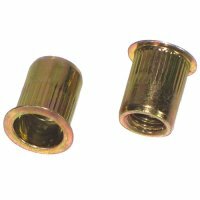 Rivet Nuts help increase production and reduce rework by eliminating the surface damage that can occur with other fastening methods.